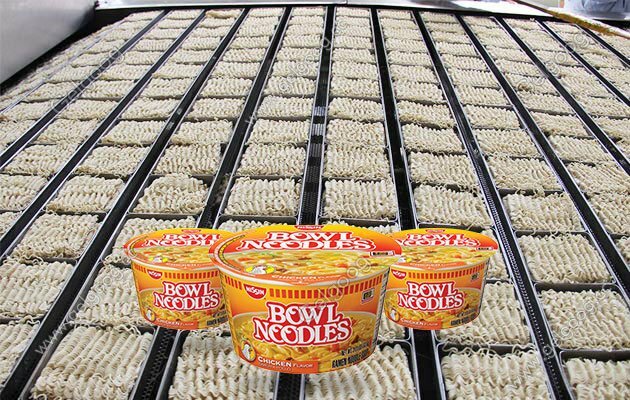 According to the desired production capacity, the instant noodle plant can produce 60, 80, 100 or 160, 200 thousand bowl or bags of instant noodles every shift. 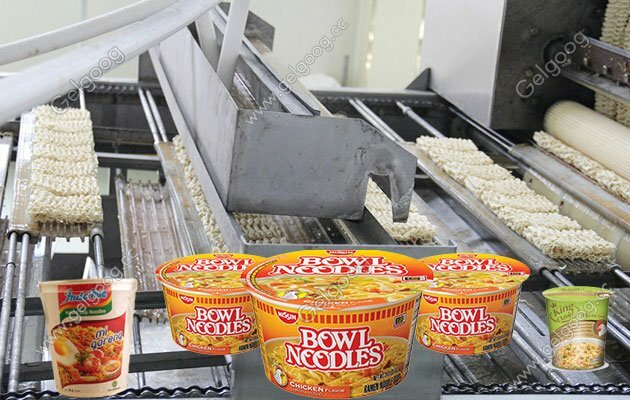 Bowl Cup Instant Noodle Production Line According to the desired production capacity, the instant noodle plant can produce 60, 80, 100 or 160, 200 thousand bowl or bags of instant noodles every shift. Adopting advanced technology, the plant is innovative with advanced structure, stable performance, reliable quality and low oil content that provide an ideal choice for the investor in foodstuff industry. 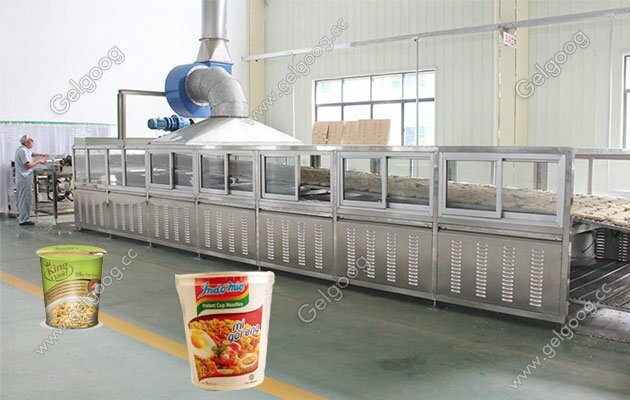 Automatic instant noodle processing line is new generation development which developed by our company based on similar productions from overseas and domestic market. Main machines of this plant are dough mixer, curing machine, continuous rolling machine, cooking machine, cutting and folding machine, frying machine, cooling machine, and packing machine. The dough mixer has biaxial elliptic blades with two kinds of speed. Curing machine uses double pot technology to guarantee the consistency of dough ripening. Rolling machine adopts nine pairs of chilled alloy roll. This plant is highly automatic, convenient, low energy consumption and less space occupation, invest on this line is 10% of cost on large processing line, all these features assure this line suitable to small-sized or self-owned enterprises.The corrugated instant noodle produced by this line is strength, smooth and transparent. It is very easy to be saturated by water. 1. 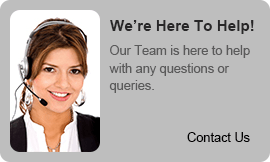 Sophisticated process ,compact structure ,novel design ,stable and reliable performance . 2. A complete production from the flour to the finished product by one time . 4. energy-saving ,less premise ,less investment ,quick effect.